The last Friday Faves of 2011! How to Bridge Neighborhood Gaps? Turn Overpasses into Main Streets – An interesting article and slideshow over at GOOD on “habitable bridges” in American cities that have taken their cue from medieval Europe as a way of connecting neighborhoods and repurposing the overpasses that often isolate them from each other. How the Dutch got their cycle paths – An excellent mini-documentary on the historical context and political process by which Holland became the ultimate city for cyclists, implement urban planning measures to favor bicycles as an integral part of the national transporation system. U.S. 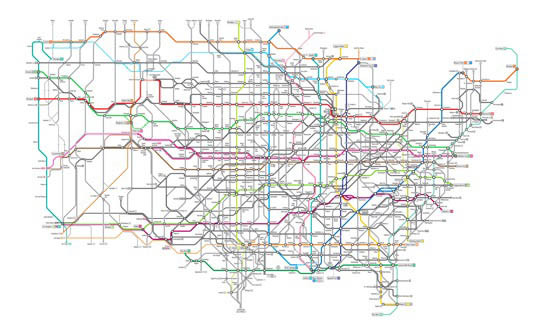 Routes as a Subway Map – These nifty maps by graphic designer Cameron Booth emphasize the complexity of the U.S.’s famously dense and tangled highway systems, visualizing them as subway maps. London Cable Car Route across the Thames – A virtual ride across the Thames River along London’s future cable car, connecting the O2 arena in North Greenwich (southeast) and the Excel exhibition centre in Royal Victoria Dock (east), and set to be completed in mid-2012. 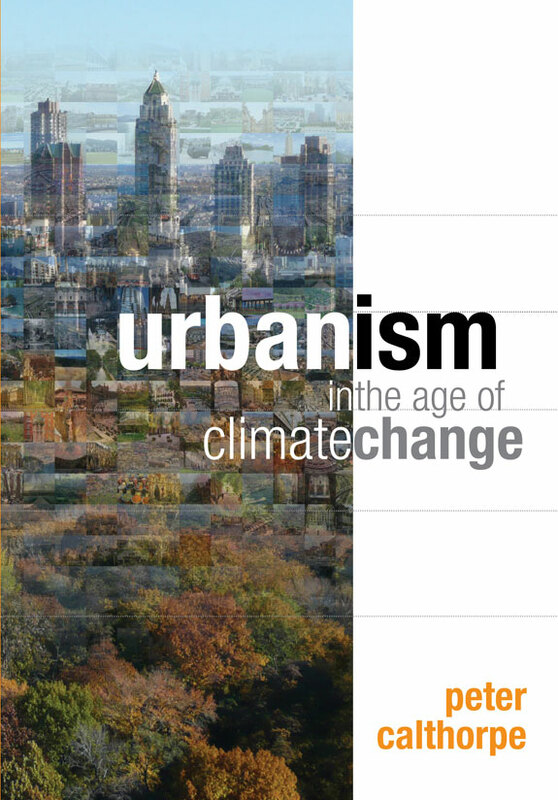 Urbanism in the Age of Climate Change – In his recently published book, Peter Calthorpe, one of the founding memeber of the Congress for New Urbanism, shows how regionally scaled urbanism can be combined with green technology to achieve not only needed reductions in carbon emissions but other critical economies and lifestyle benefits. From all of us at the Regenerating Intermediate Landscapes program, we wish all of you a happy and regenerative 2012!